Buying factory direct bedding has many advantages beginning with the simple truth that the average person sleeps, on average, eight hours a day. 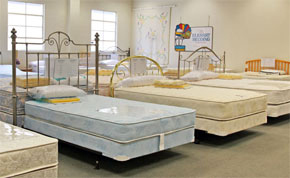 It is important that you shop for comfort when buying the right mattress for your personal needs. Look no further than the Elkhart Bedding Company for quality, comfort and price for your next bed or mattress set. 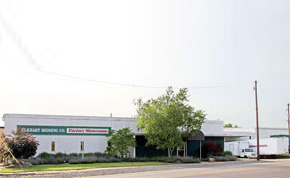 The Elkhart Bedding Company is one of the largest and oldest mattress manufacturers in the Michiana area. 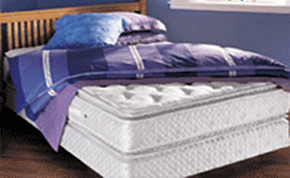 We have been producing and selling quality sleep products to our retail and wholesale customers since 1919. Our company provides a wide assortment of bedding products to the diverse markets that we sell and service. Whether you're a retail customer or a wholesale customer, you will find our wide selection of quality sleep products along with our dependable and reliable service accommodating to your specific bedding needs. "Your selection of bedding is important to your health and well-being, and it should be made with care. That’s why we don’t see ourselves as just a mattress company. We’re in the business of improving lives." Copyright 2019 © Elkhart Bedding - All rights reserved.